Rooms vary from single, double to triple occupancy. 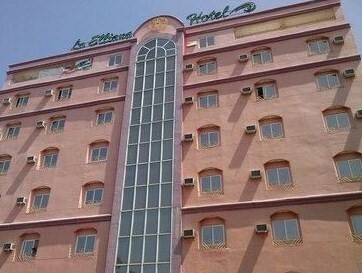 Most rooms are airconditioned and have their own toilet and bathroom and cable TV. Had enough of Laoag City? Then head to Pagudpud? Pagudpud or Pagudpod as its now and again called is exquisite one day and perfect the next. A lot say it's the Boracay of the North, however we like to say that it is Boracay as it formerly was! And that's why it's so popular. It is Boracay as it was 25 years ago! 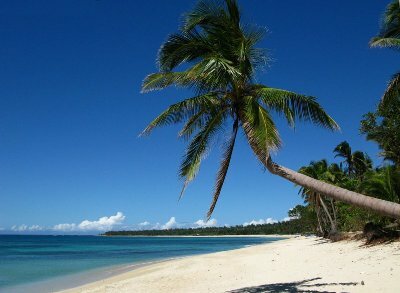 The clean white sands of Saud Beach are located at Pagudpud just a few metres from our hotel. The drowsy rural coastal settlement of Pagudpud is situated on the most Northern point of Luzon, in the Philippines and is about 50 miles up the seashore from Laoag City, the capital of Ilocos Norte province. The district is located to the north of Bangui and its now famous windmills and inland lies the massive Cordillera Mountain Range, the largest mountain range in the Philippines. Just across the other side of this mountain range lies the province of Cagayan. To the North and the West are the very warm and enticing waters of the South China Sea. Quite a lot of very astute international tourists are today becoming enormously interested and recently one of Australia's most well-thought-of and notable international travel writers graded Saud Beach as Number 1 on the list of the Top Ten best Asian Beaches. You best uncover Pagudpud before the tourists hordes all find out. The local vicinity comprises genuinely superb and almost deserted beaches, outstanding waterfalls, arresting picturesque vistas, and a real genuine get away from the rat race feeling. It is no wonder that so many movies and television commercials are filmed here. Just try to imagine a beach without too many tourists, no noisy jet skis, no strip of bars and not even a McDonalds restaurant!